When is a front row seat not a front row seat? When the theatre decides to stick a whole new extra line in between you and the stage to maximise profits, according to a Birmingham company director. Nigel Harris was left fuming when he arrived at the Birmingham Hippodrome to find out he was no longer in prime position for a performance of Oliver. The avid theatregoer paid £100 for a pair of front row seats and was stunned to discover the new seating plan. 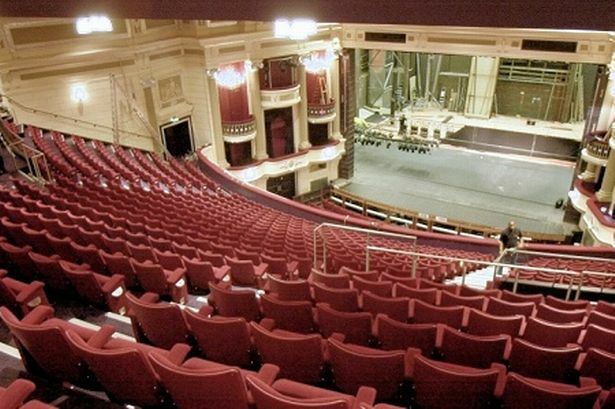 Mr Harris, a director of Birmingham-based website BedandBreakfastsGuide.com, went to the show expecting a clear view of the stage after buying tickets a year in advance through the Friends of the Hippodrome membership scheme, which costs around £50 a year for two people. But when Mr Harris arrived he found his seats in the centre of the stalls were now in the second row. The theatre has apologised for the mix-up, blaming the production company for holding off front row ticket sales “until their technical team had finalised their requirements in case sight lines were compromised”. Mr Harris said: “I bought front row tickets for Oliver 12 months ago, as Friends of the Hippodrome – which you pay extra for – you get priority booking, and we booked centre seats in the front row. “When we turned up for the performance they had added an extra row in front of us! No-one had bothered to contact us or even mention anything, they’d just clearly decided that they could now get an extra £1,200 per performance by squeezing an extra row in. “Talk about pickpockets, maybe they should call their marketing manager Fagin. I go to ballets and expect the front rows to be removed because of the orchestra, but not to just make more money at your expense. What’s the point in being a Friend of the Hippodrome and booking 12 months in advance if you can just book a few weeks before when they put extra seats in? “To add insult to injury I had the tallest man with the biggest head sat in front of me, which is unavoidable. However we were rather confused and disappointed to find we hadn’t actually got what we thought we’d booked. “This should not take away from the show, which was fantastic. “Their attitude is quite complacent, and yes they may look at it next time, but there’s no assurances that they won’t pull this stunt again. Oliver, with Men Behaving Badly star Neil Morrissey, received critical acclaim. Rob Macpherson, marketing and development director at the Hippodrome, in a response to Mr Harris, said: “We apologise for the inconvenience caused and acknowledge that this is something we will take care to look at in more detail when it arises in the future. “I think we may need to look again at our procedures and contact those who have booked in advance in row B to move them forward if this occurs again. Mr Harris and his partner have not renewed their Friends of the Hippodrome membership.